Training For Warriors promotes group solidarity and camaraderie in its workouts. 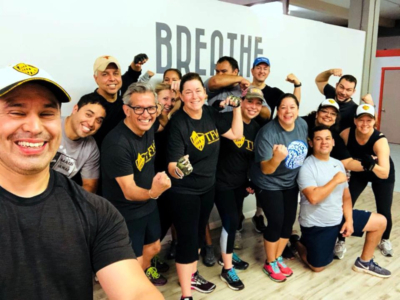 The black-and-yellow of Training For Warriors of Harlingen has taken its fitness and nutrition program to a larger and new location. 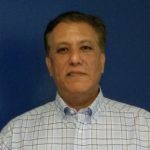 Bobby Muniz, a pharmacist and Harlingen school board member, owns and runs the program. Muniz has a passion for matching resistance training with the right kind of cardio exercises to improve the health and well-being of his clients. While training, he is also teaching them about nutrition. Muniz has moved Training For Warriors from its former downtown location to a larger facility at 723 N. 77 Sunshine Strip in Harlingen. 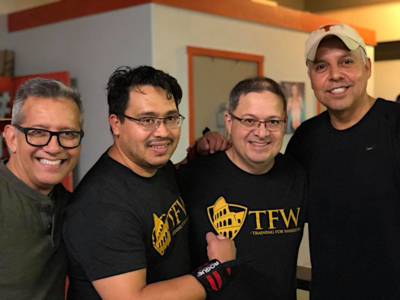 Bobby Muniz with a group of his students at the TFW facility in Harlingen. Muniz says research and science are the bases for the TFW workout routine and program. This gets the best results in pairing with good nutrition. The program offers meal plans and recommendations of the best supplements to take to assist in the process of reaching and maintaining good health. A Harlingen Chamber of Commerce ribbon cutting for TFW’s new location will be held on April 18. Muniz moved TFW into its present location in mid-February.